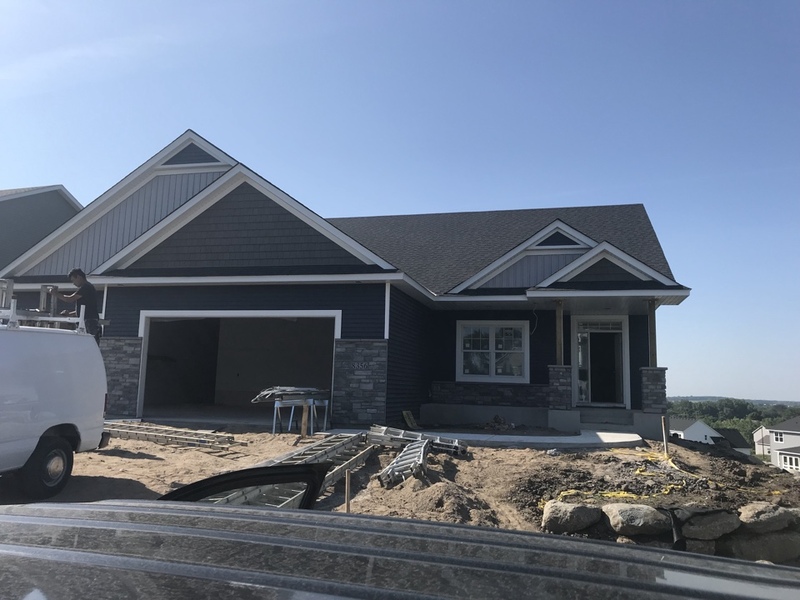 Are you a homeowner in Lakeville MN? Give Krech Exteriors a call to learn about our unbeatable installations on roofing, siding and replacement windows for the best in energy efficiency. 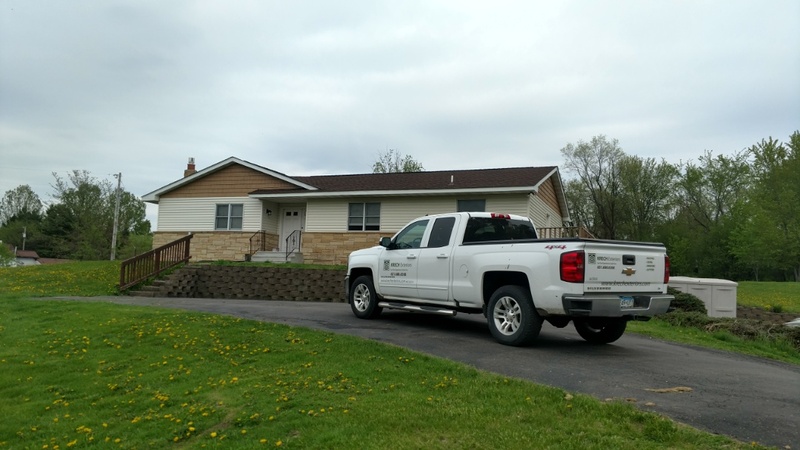 We’ve been serving our neighbors in Lakeville for three decades since 1988, proud to specialize in a wide range of home improvement in Lakeville MN and the rest of Minnesota. We aim to transform your property into a more energy efficient, attractive one that you can be proud of. 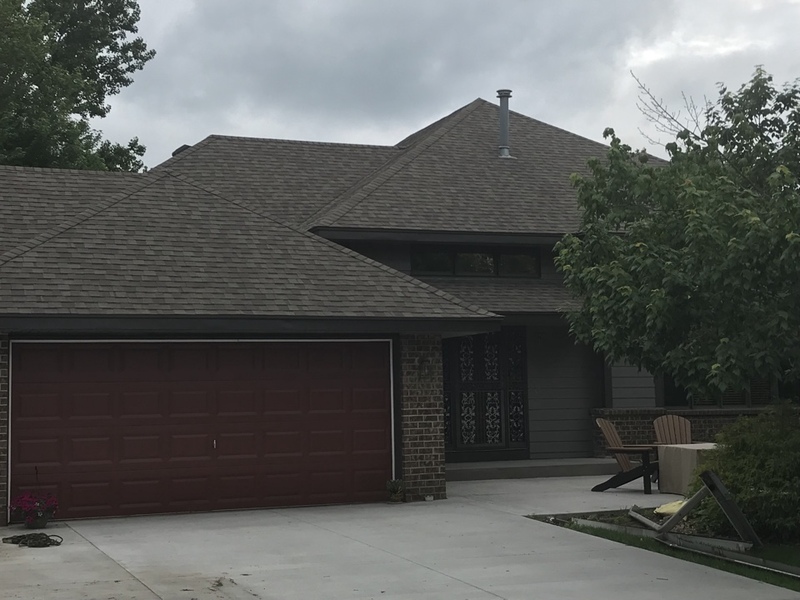 Our contractors have the training and skill to provide superior roofing, siding, storm damage repair and replacement windows in Lakeville, a suburb of Minneapolis and home to 55,000. It’s considered one of the fastest-growing cities in the Minneapolis-St. Paul metro area. Accountability is also important to us. Did you know only our own screened contractors work on your installation project? Get peace of mind knowing our professionals are trained on a regular basis in the latest techniques, construction materials and methods when it comes to your home improvement project. The customer experience is a big emphasis here at Krech Exteriors. From the time you call us to the time we finish up the work, our team values communication and keeps you in the loop at all times. Contractors who are proud of their work stand by what they do through workmanship guarantees and product warranties. 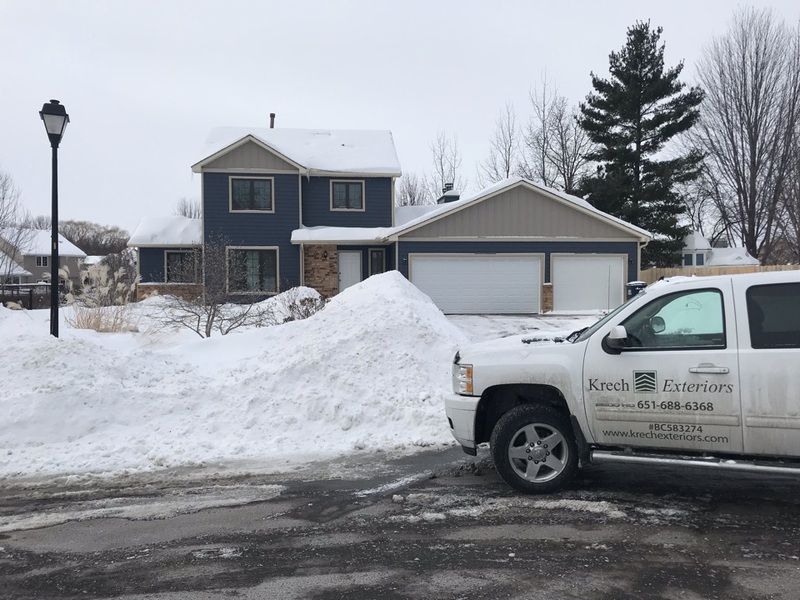 Homeowners in Lakeville MN can get in touch with Krech Exteriors for a free estimate and to schedule an in-home consultation by calling 651-688-6368. Alternatively, you can also complete our online “Request a Quote” form for more information. Exterior remodel removed vinyl siding installed James Hardie lap siding and shakes on the front. Charter Oak vinyl siding on the 2 sides and back. 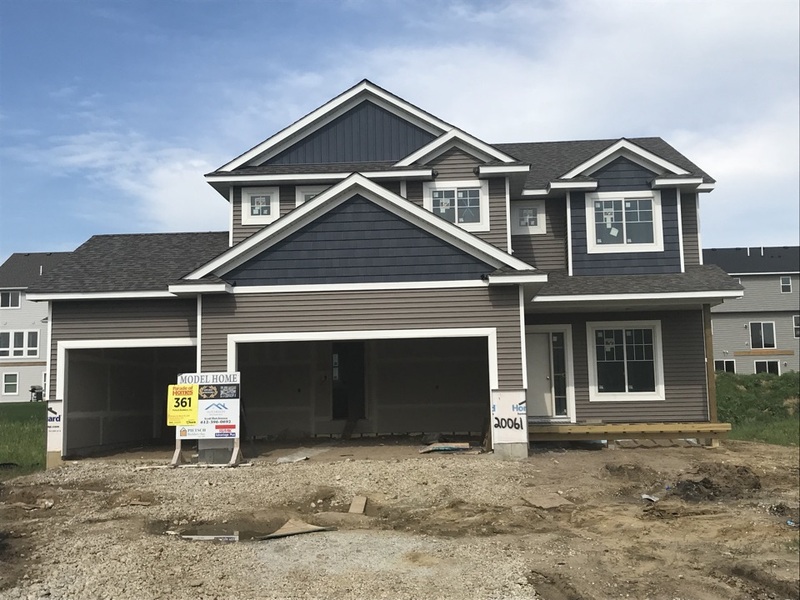 New construction home with LP smart side lap and shakes on front elevation. Vinyl siding on all other elevations. Aluminum soffit and fascia. Exterior remodel. Steel siding and B/B. Classic blue with Sandtone accent. Exterior remodel removed existing siding, soffit, and fascia. Re-side with pre-finished James Hardie lap siding with James Hardie shakes and board-n-batons on front. New aluminum soffit and fascia. 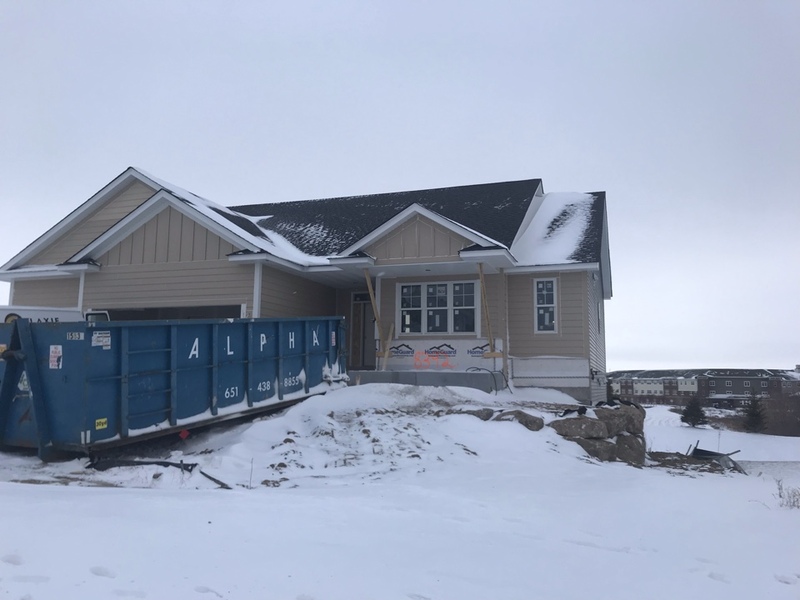 New construction home with vinyl siding on three sides, aluminum soffit and fascia. LP lap siding with board and baton on front. 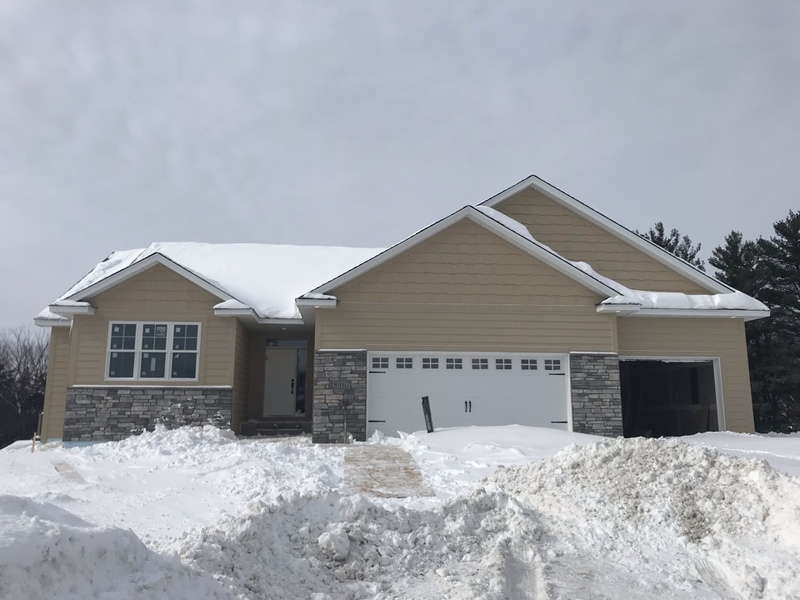 New construction home with vinyl lap siding and vinyl board and baton. Aluminum soffit and fascia. 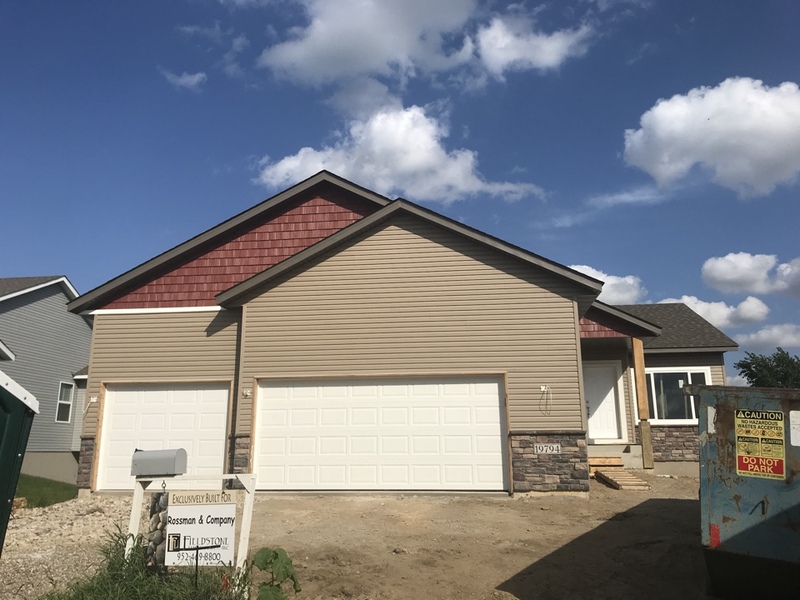 New construction vinyl siding with vinyl board and baton, and vinyl shakes on the front. Aluminum soffit and fascia. New home siding, soffit, and fascia. 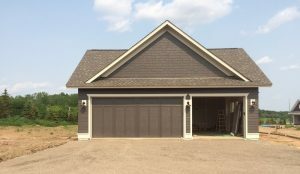 Vinyl siding, with vinyl shakes, and vinyl board & battens. Aluminum soffit & fascia. Removed old siding, soffit, and fascia. Installed new aluminum soffit and custom bent fascia. 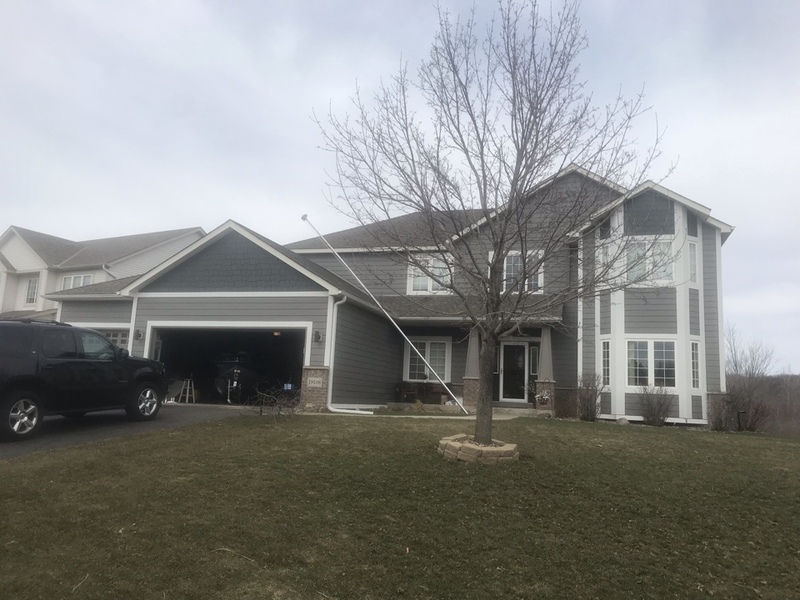 Install new pre-finished Hardie siding and trim. 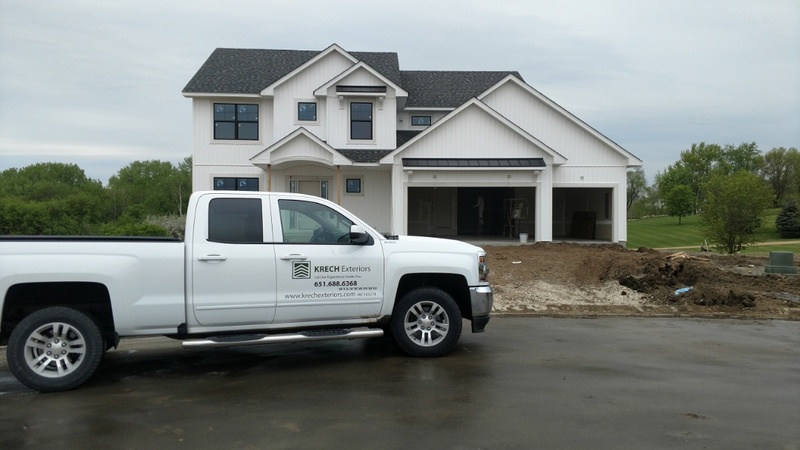 Another nice new construction job done by Krech Exteriors. 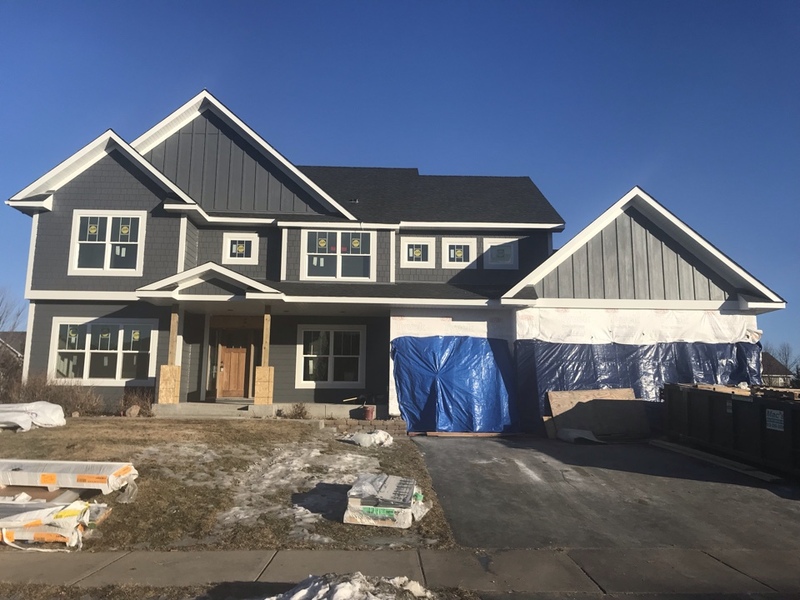 Installed vinyl lap siding with B&B on the front gables. Installed aluminum soffit and fascia. 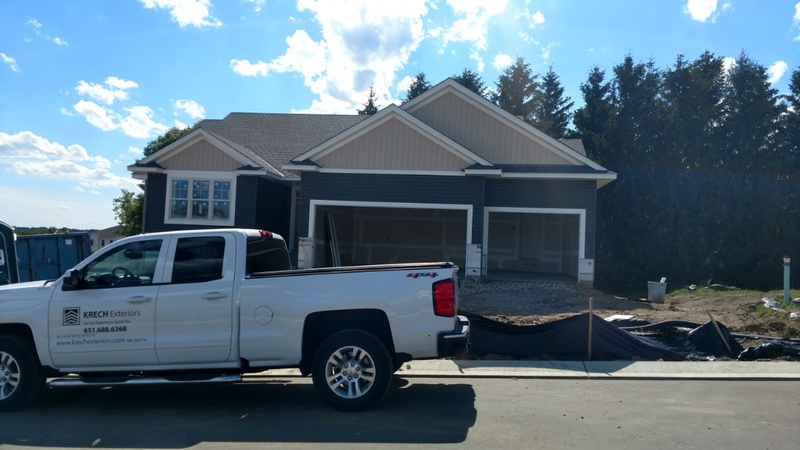 Another nice new construction job done by Krech Exteriors. Installed vinyl lap siding with B&B and vinyl shakes on front gables. Installed aluminum soffit and fascia. 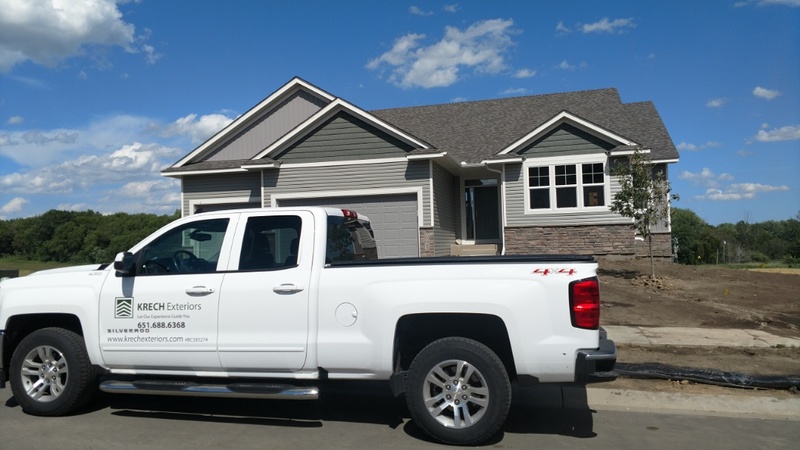 Another nice exterior project completed by Krech Exteriors. Installed vinyl Dutch Lap "Antique Parchment with vinyl shakes "Summer Set Wheat be gables. 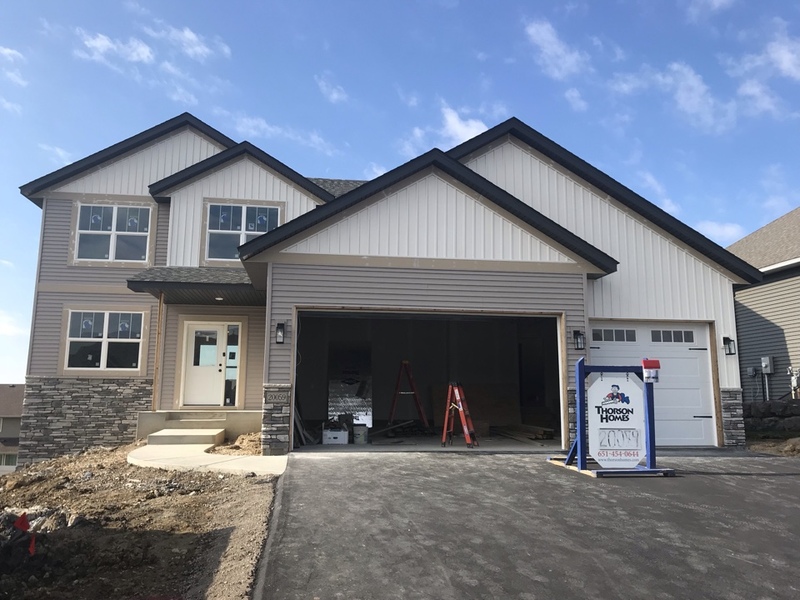 Another new construction exterior project done by Krech Exteriors. 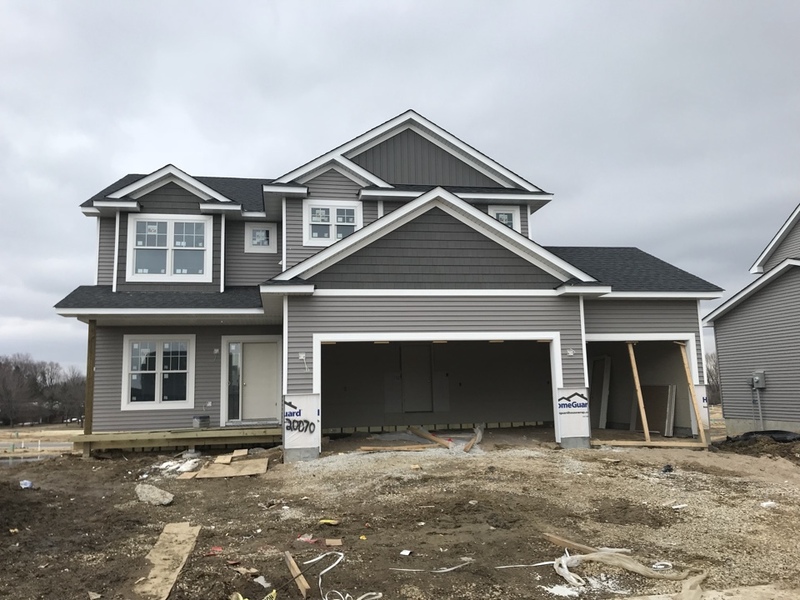 Installed Dutch Lap vinyl siding, "White" with vinyl B&B, "White" on front of the house. Installed white aluminum soffit and fascia.